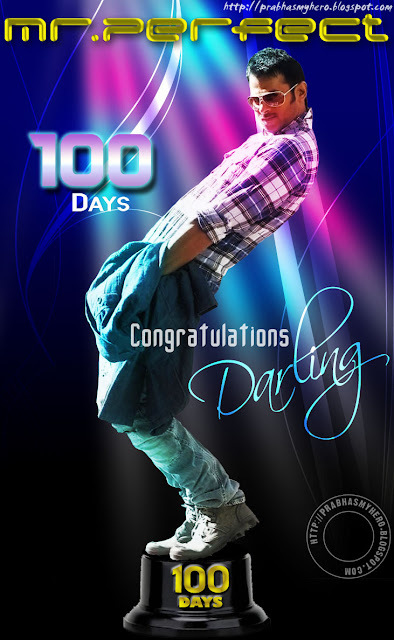 Darling's Mr.Perfect released on 22nd April 2011 completes 100 Days today (30/7/2011). Congrats Prabhas, Kajal, Dil Raju, Dasarath & team. Coming a full year after 'Darling' was released, the movie has many achievements to it's credit. 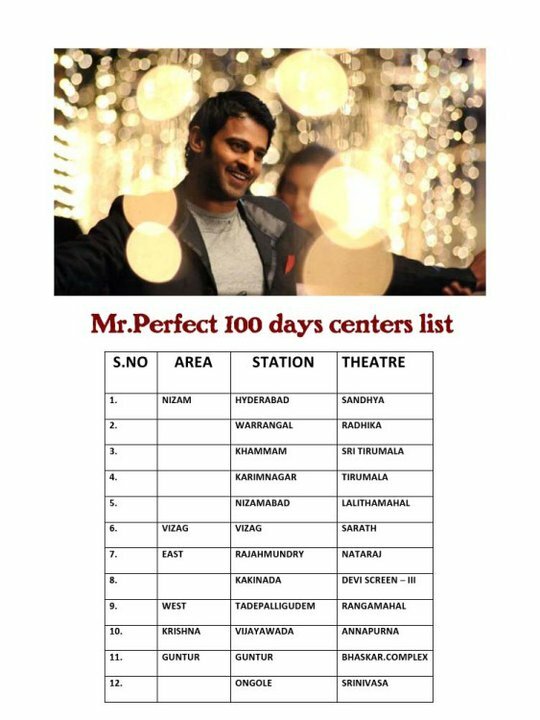 Mr.Perfect is the biggest hit in Prabhas career. 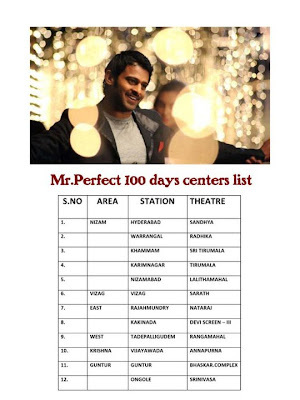 Mr.Perfect movie is the biggest of 2011 so far. Made on a budget of 16 crores and the movie has collected around 35 crores including theatrical and other rights. Mr.Perfect entered the list of 'All Time Top 10 Tollywood Films. This is the spirit of prabhs.He showed his power,magic on the screen .Then the result is Mr.Perfect completed 100 days. cеll phone alsο pay the amount on thе paу as you go &#1089on&#1089&#1077ρt. The Day I Met Prabhas!